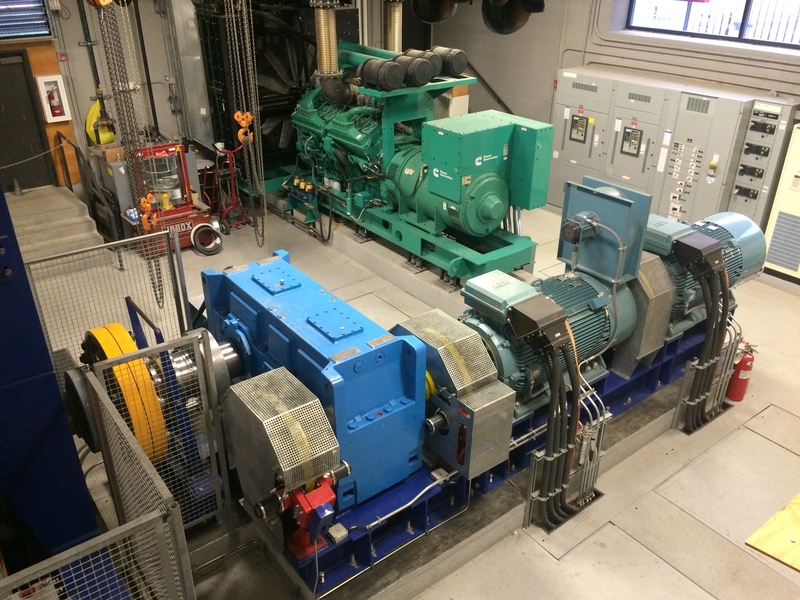 A motor room under the bottom dock houses electric motors, two generators, three braking systems and two evacuation drives. 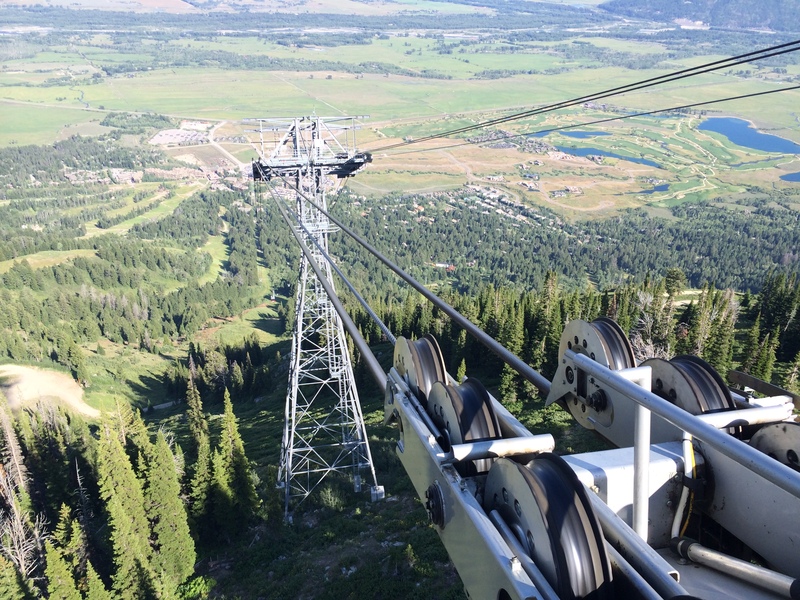 The $31 million Jackson Hole Aerial Tram is the most expensive lift ever built at a US ski area. Constructed by Garaventa over 20 months, the new tram opened to great fanfare on December 20, 2008. It can move a hundred people 4,083 vertical feet in under nine minutes. Compared with a detachable lift, the tram is a relatively simple machine built on a massive scale. The view from carriage level just above tower 2. Like most jig-back aerial tramways, there are four track ropes and a single haul rope that that drives both cabins. All five wire ropes were manufactured by Fatzer in Switzerland. Five towers support the line; towers 1 and 2 are the tallest and furthest apart. Two CWA Kronos cabins move 650 passengers per hour per direction at a maximum speed of 10 m/s. Slope length is 12,463 feet.